Preselling - Why It's So Important! Why It's Important To Online Success! Preselling is the heart of what makes a small business successful online. Understanding how to warm-up your visitors and put them into an open-to-buy frame of mind is important for high conversions and great sales or affiliate commissions. 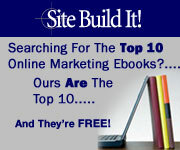 A lot of small businesses online do not bring the results that their owners had hoped for. There are many reasons for this, but two of them that are often overlooked. People are searching for quality relevant content that will provide them with the information that they are seeking. If you hope to have a successful online website business, you have to fill that need by over-delivering on the content you offer. Low value content may flourish for a short time in the search engines, but it won't be long before the poor quality will result in lower and lower rankings leading to fewer and fewer visitors. This lack of high quality content is one of the main reasons that small businesses fail online. The second reason online businesses fail so often is because the website owner doesn't understand the difference between "selling" and "preselling." 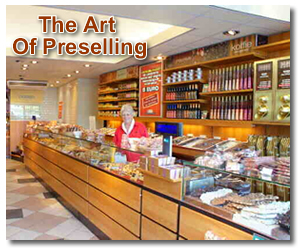 If you are used to selling, selling, selling offline, this may be a learning curve for you. You need to learn to make the leap from your old traditional way of marketing to the "way of the web." When your site visitors arrive and discover great information that is just what they were looking for, they begin to trust your judgement and even like you a bit, though they may have never met you. Your in-depth content, presented in your own voice, builds credibility that keeps them coming back for more. As you then gently make suggestions that will help solve their particular problem or meet their particular need, they are in an "open to buy" mindset and are prepared to take action based on your suggestions. To understand more about pre-selling and to learn how to presell more effectively, let me offer you these two free resources that will be of great help to you. The firs of these books is called Make Your Content Presell and you are welcome to download it and print it out to read at your convenience. 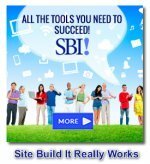 This book is an excellent tool to not only explain the concept further, but also to help you implement the principles on your own small business website. 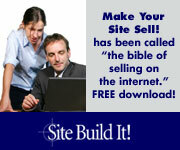 The second resource I'd like to offer to you for free is entitled Make Your Site Sell. No, I'm not trying to contradict myself here, but there is definitely an art to "selling online." Give yourself the best possible head-start to online business success by investing your time and effort into reading these "masters." These two resources will help you discover your own "voice" and unique presell and selling angle so that you will not find yourself among the ranks of the many failed online entrepreneurs. More articles about the Importance of Preselling!